Quite lovely ~ I love the style, the colorway used and the detail. Alana - This is soooooo pretty! Having just completed the Cedar Leaf Shawlette, I can agree about the pretty short-row shaping! 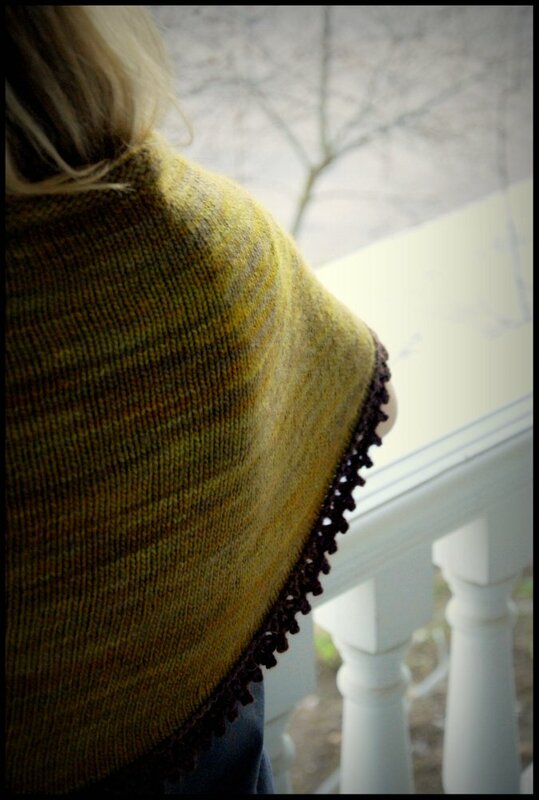 Interestingly, too, I *just* completed a project using Madeline Tosh in the exact same colorway (in my post today). It is positively luscious yarn! This is so pretty-- and SO me! I think I may just have to buy this pattern. Wonderful pattern and gorgeous colors. 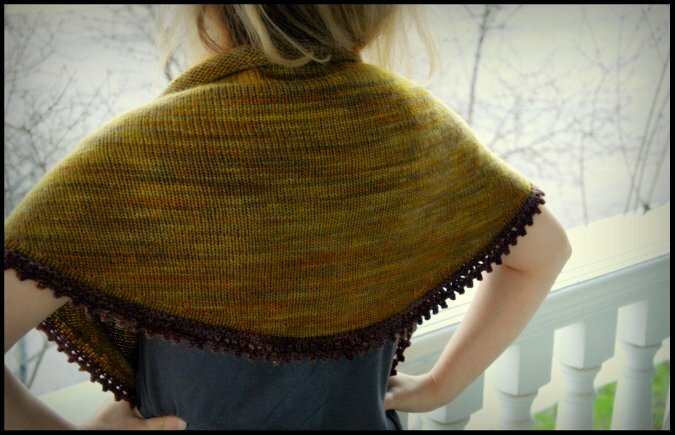 I LOVE the Cedar Leaf Shawlette I made and everyone comments on it too. I think I may needto make this one too! Your patterns are very easy to follow, thank you! Oh Alana, it's gorgeous! You are right, this color combination is fantastic. Beautiful pictures too. Congrats! 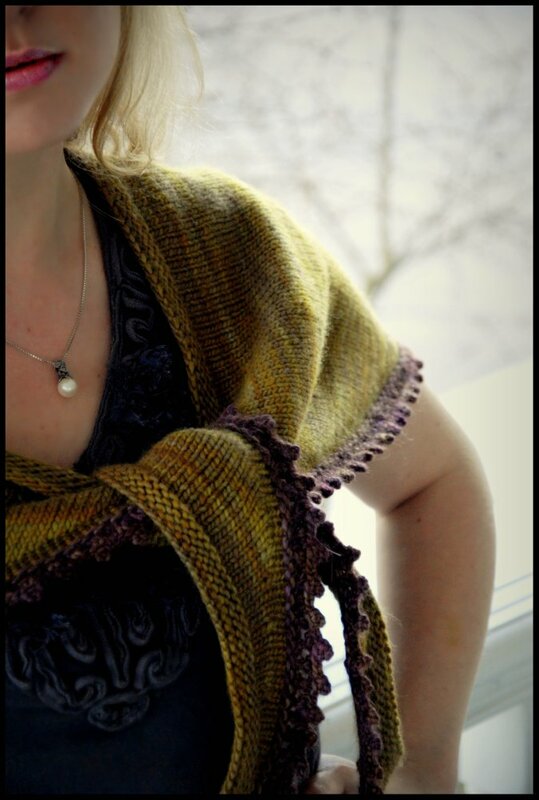 That is a really gorgeous shawl, and you are right, the colours do work well together. You also took amazing photo's of it, well done! It's gorgeous! I adore the color combination. madelinetosh has fantastic colorways too. I love it Alana! Especially that aubergine edging colour. 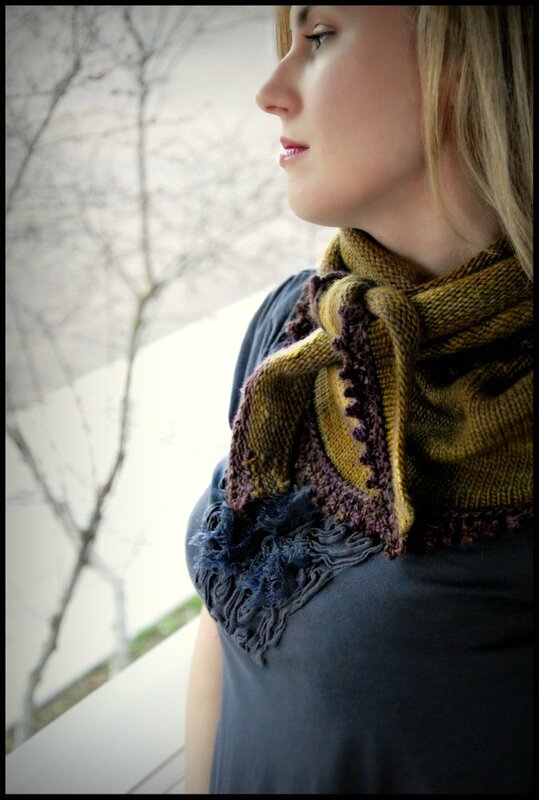 I must find a store that sells Madelinetosh yarn. 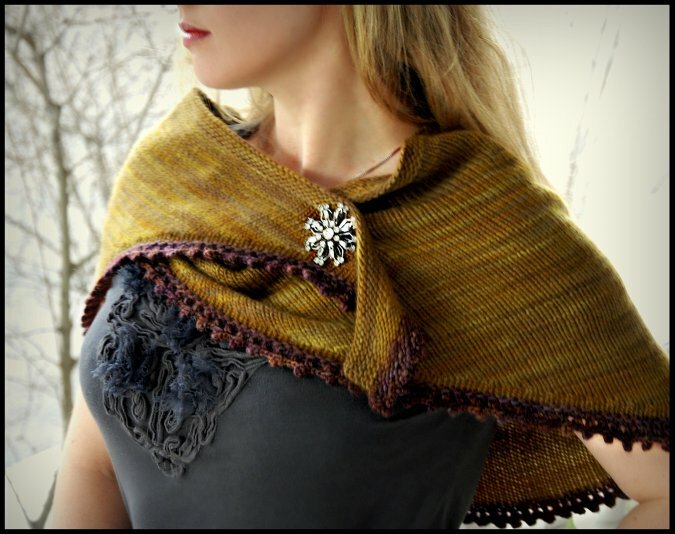 That is a very lovely shawl! I just recently started listening to your podcasts, and I am enjoying them very much. Lovely! Great job as always! This is gorgeous, Alana! Congratulations on another masterpiece! The design on your printed pattern makes it so much fun - I love your attention to detail. the colors you chose for this piece are absolutally gorgeous! I love it! It's so pretty, Alana! I love those colors together. I love this! The simplicity of the design and the color combination is beautiful! Beautifully knit....the finish is excellent with the border perfect and all...the color chosen perfect.I love it. Alana, another beautiful design! 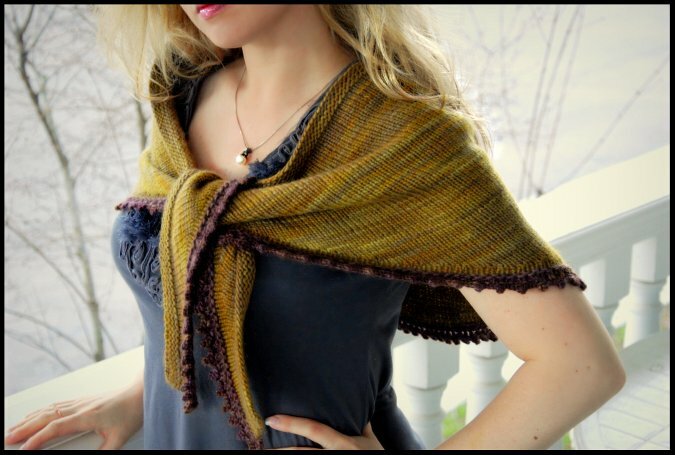 Looks like I'm going to have to knit this one too! I finished several Cedar Leaves and everyone I made them for just loves them! Think I will just make this one for myself though! The color combo is beautiful and I love the picot edging! This is so lovely! But I do have to ask... Where did you get the shirt underneath? That's so cute! The top is made by Elle. Glad you like it! i love your latest project. i have to add it to my queue and pattern library.